Figuratively speaking, that’s a page right out of our own curriculum. When The National Center for Outdoor & Adventure Education (NCOAE) got together to host a multi-day “invitation only” event for instructional candidates, we took the same care as we would when building a campfire. As a rule, wood doesn’t burn on its own. It’s the gases released, along with a combination of oxygen and ignition that creates the flame. What you need, in fact, is quality fuel, oxygen and ignition. In Part 1 of this series, we told you about the unique curriculum offered here at The National Center for Outdoor & Adventure Education (NCOAE) and the fact that its focus is much more than just developing outdoor skills for our students and adult course participants. In addition to teaching how to best use nimble feet and hands to ascend a rock face, or selecting the best route around a car-sized boulder in the middle of a fast-moving river, we also like to put the educational emphasis on humanism. And empathy. And self-analysis. To encompass these traits entails mastering the skills of leading, listening and learning. So, for this — the second installation in our series of blog posts about the NCOAE curriculum — we begin to delve into each one of our 11 Ed Group topics. And we’re going to do that in depth. In fact, we’re going to cover these topics three at a time. That way, we can take our time, explain the topics, and not overwhelm anyone. As a refresher, at NCOAE, “Ed Group” is short for Educational Group. Our wilderness programs expose course participants to a core curriculum built upon Self, Community, Action and Impact. We factor in 11 topics to be addressed during the daily Ed Groups, and these same 11 topics are revisited for reflection during evening Process Groups (known as “The Summit”). We also have Feelings Check Ins regularly. Each day — sometimes multiple times a day — we have the group circle up for a quick ‘Feelings Check In’, which in one or two words describes how one feels. For example, we typically have one Feelings Check In before starting an activity such as hiking or climbing. When it comes to describing the course of study for a school or university, the word “curriculum” is most often used, and it traditionally references all of the courses offered at a particular institution. Curriculum has been described as “a path for students to follow,” which is actually fitting when you think about the backcountry activities that are so paramount to our offerings. What makes that term specific to The National Center for Outdoor & Adventure Education (NCOAE) is that — while our emphasis is on skills related to backpacking, rock climbing, whitewater rafting and surfing — our curriculum doesn’t stop with those outdoor and technical skills. What we’re most proud of is offering relevant and fulfilling educational experiences for youth and adults that are current, effective and rewarding. Our custom curriculum is based on experiential education, which means we value the process of learning actively and hands-on. We use activities and curricula that are problem-based and collaborative. The curriculum encourages our course participants to merge their new outdoor experience with their previous life experiences in order to confront and challenge “obstacles” and find solutions. Our wilderness programs expose NCOAE course participants to a core curriculum, built upon Self, Community, Action and Impact. We factor in 11 topics to be addressed during the daily Educational Groups (known as “Ed Groups”), and these same 11 topics are revisited for reflection during evening Process Groups (known as “The Summit”). Here’s Why We Love Logan LaPlante, And Why You Should Too! After recently watching 13-year-old Logan LaPlante discussing his concept of learning during a TEDx (Technology, Entertainment, Design) event in Nevada, our co-founders Zac and Celine Adair jokingly said they want to adopt this self-proclaimed hacker of education. Young Logan spoke before an audience at the University of Nevada last February, where he discussed the disconnect between education and happiness. 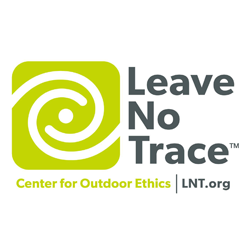 The theme of his 11-minute talk – which you can watch via the YouTube embed below – rang true for Zac and Celine, who developed the curriculum here at The National Center for Outdoor & Adventure Education (NCOAE). That curriculum, which we’ll be blogging about in the weeks and months to follow, promotes self, community, action and impact for teens and adults alike. We couldn’t agree more. In fact, Celine reminds us that NCOAE’s outdoor and adventure education offerings are designed with improvement in self-actualization, decision-making, and esteem, communication, teamwork, civic responsibility and environmental stewardship in mind. Judging from the headline atop this particular blog post, you can gather that this is the fourth in a series of posts about the curriculum we offer here at The National Center for Outdoor & Adventure Education (NCOAE). And if you haven’t taken a look at the first three installments, it would behoove you to do so (see: Getting to the Core of the NCOAE Curriculum, Part 1; Getting to the Core of the NCOAE Curriculum, Part 2; and, Understanding the NCOAE Curriculum, Part 3). In those three posts, as well as this final chapter on the topic, we discuss the deeper social topics that are covered in our educational groups (Ed Groups), which are a key component to the delivery of our one-of-a-kind curriculum. As background, it’s important to note that the objective of our curriculum is to assist in the development of skills that will help our course participants’ to become even better citizens of the world. That’s a lofty objective, but in our mind, it hovers way above what we can teach about map & compass reading and basic camp craft (which of course we do teach, as well). Because without these particular “people skills,” interacting with others in any environment — outdoor adventures included — can become an unrewarding and unruly undertaking. In past blog posts on this topic — and again, please read those before continuing forward on this last installment — we discussed such acquirable skills as conflict resolution, civic responsibility, feelings identification and defense mechanisms, to name a few. In this, our fourth and final curriculum series entry, topics include group decision-making, values clarification, stereotypes, critical thinking, and leadership qualities. Let’s get the ball rolling with our seventh Ed Group topic — group decision making. We have a formula here at the National Center for Outdoor & Adventure Education (NCOAE) and it reads like this: Self + Community + Action = Impact. In fact, self is the backbone of what we do at NCOAE. It involves our esteem, self-actualization and the decisions we choose to make — all of which are important because we strive to establish a strong sense of esteem in everyone who participates in one of our outdoor education courses. No matter what the outdoor activity, we provide course participants with countless opportunities to build and reinforce self-confidence. Take backpacking, for example. Here is an opportunity to look back on the trail and say, “I did this. It is an enormous feat in autonomy.” The same holds true for course participants who navigate whitewater for the first time in a raft, or scale up a vertical rock face, or successfully tuck into a tight tube on a surfboard. Any of these human-powered outdoor activities, when approached with confidence and a good attitude, can’t help but establish a strong sense of self. And getting to know yourself and your limits — actually understanding what it takes to battle through discomfort and arrive successfully at the other end — is a priceless commodity. It hasn’t been a speedy process but we continue be excited about the deep dive we’re offering up on the curriculum offered here at The National Center for Outdoor & Adventure Education (NCOAE). Keep in mind that the big takeaway from all this curricula business, is not just to teach our students skills that enable them to become better climbers, hikers, surfers and rafters — but more important, to help them develop the ability to become better human beings and world citizens. That’s why the NCOAE curriculum specifically deals with human skills. Because, let’s face it. Even on the trail, the honeymoon eventually comes to a screeching halt. And by honeymoon, we’re talking about those first few days of a wilderness excursion. We’re not going all Kumbaya on you, but that’s the time when everybody’s bubbly and happy and getting to know each other and enjoying the views. Problem is, group dynamics change — especially on an outdoor-based adventure. And it’s most important that our course participants, whether they be preteens or upperclassmen, acquire the tools to deal with those dynamics when they emerge. Because they will emerge on both the trail and in the world from which they came. Outside of a traumatic event, stress usually builds up gradually, so when we arrive the point in an NCOAE course where expose participants to the stress management Ed Group, we ask them to describe personal situations where stress might have raised its ugly head. We ask them to tell us how they reacted — and dealt with stress in the past.